Every since I was a little girl, I have been fascinated with Old Hollywood. Almost all the movies I watched as a kid were from the Golden Age of Hollywood (roughly 1930s-1960s). 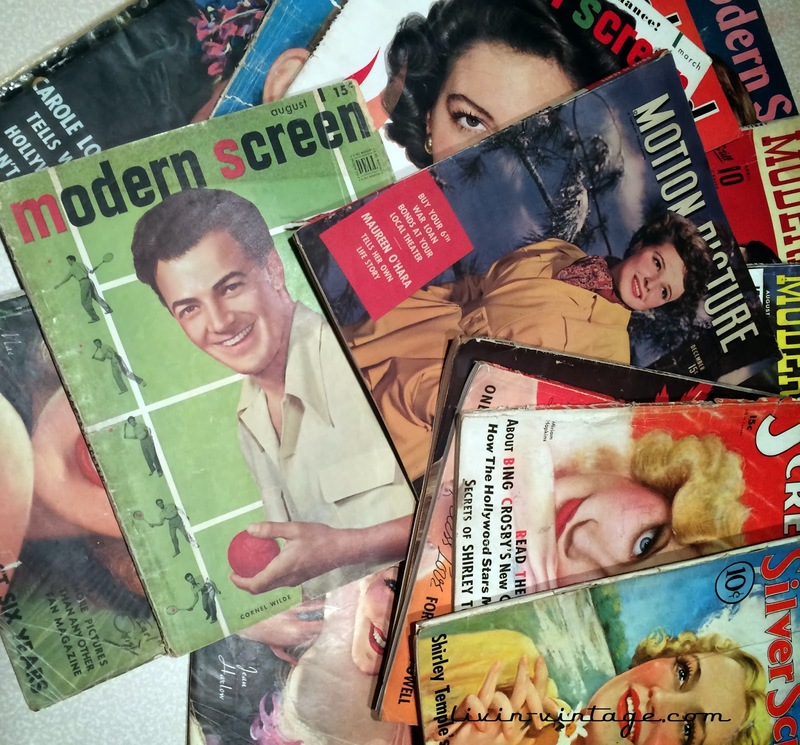 Fan magazines (or movie magazines as some call them) combine many of my passions in life: Classic Hollywood, vintage fashion, vintage paper items, and 20th century American culture. 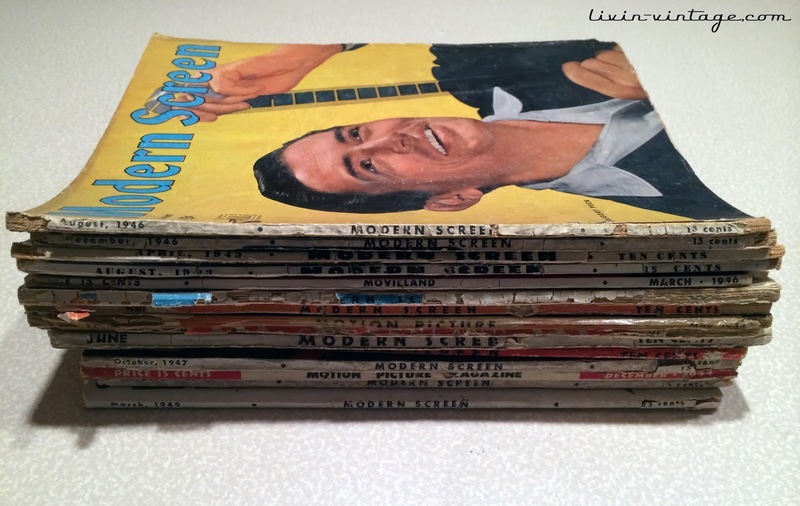 Over the years I have surmised a fairly large collection of vintage fan magazines and vintage magazines in general -- it's into the hundreds. What can I say? I am addicted to any old paper item! Part of my goal for 2014 is to finally get my digital archive up and running and to share my knowledge of these cultural gems with others. 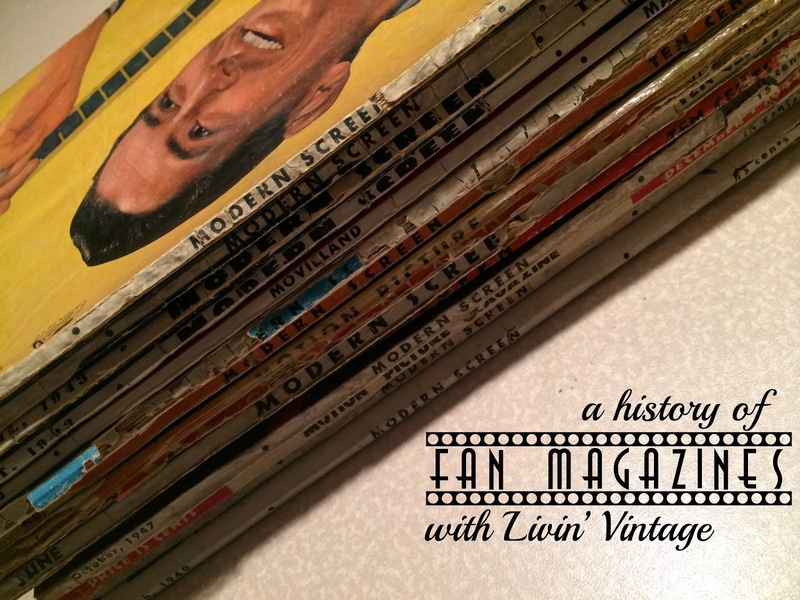 Today I am starting with a history of a movie fan magazine and share a few photos of some of my collection. Motion picture fan magazines were first published in the 1910s, starting with such titles as Motion Picture, Photoplay, and Screenland. At their height, some forty different titles would arise, but the most successful and most popular were Photoplay and Modern Screen. Over the next six decades, these publications would mirror the rise and fall of the Studio System and eventually morph into periodicals we see today (like People, US Weekly, In Touch). 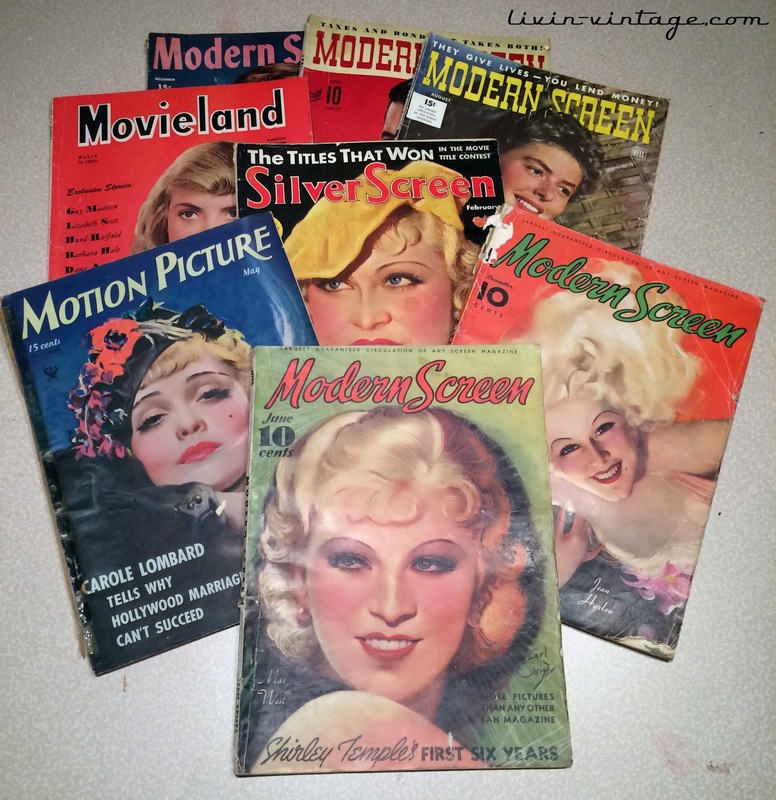 Fan magazines were not merely just a publicity vehicle for the film industry, they also functioned as a way to dictate taste to audiences, convey knowledge, and acted as a gateway for fans to enter into the glitz and glamour of Hollywood. These publications were mostly focused on catering to a female audience, including articles on fashion trends and stars' own recipes. These types of articles allowed fans to feel closer to the star, by attempting to dress like them and even eat what they eat. One of the most important roles of the fan magazines was to align the manufactured image of the star from page to screen – situating the character in the film with the one they portrayed in the magazine. These magazine articles were often written by the star's agent or by the studio itself, in an effort to carefully craft the stars' image and conceal the less than favorable aspects of their lives. It was common practice for fan magazines to submit their articles to the studios for approval before going to press -- all part of the open relationship between the fan magazine and the studio. To the benefit of both, this type of relationship allowed greater access to the stars while allowing the studios to have a better sense of control over their stars' images. Just like today, many of the stories printed were not always the most factual and even some of the authors were a complete construct. Photoplay's gossip colonist Cal York was a fabrication of gossip columns in New York and California, weaving together the two columns. While a lot of what was printed was manufactured, coded language was often used to tip off insiders. Things like a star have a "high old time" often meant they were seen drunk and an unexpected case of "appendicitis" was sometimes code for an abortion. I love decoding articles from today's perspective and you can really learn a lot about stars from these articles if you know what to look for. Over the next few months I'll be digitizing and restoring my collection to share with all of you! In the mean time, want to catch a glimpse of what's in store? Sign up for my newsletter and receive a free copy of a 1944 interview with Joan Crawford as seen in Motion Picture. Every month you will also receive Classic Hollywood gossip found in the columns of fan magazines and exclusive stories of star sightings as found in Modern Screen. I really can't wait to share all this Classic Hollywood fun with you all! Your magazines make me remember my Mom's movie magazine, she always wrapped the Christmas icicles in it , every year.